Sumer is a-halfway done, so let's fiesta! Back to Austin in a few days to finalize plans for the upcoming September concert and our season opener party, August 30. Venez, y'all! Come and enjoy the art and ambiance of the intimate Wally Workman Art Gallery with tasty tapas from Whole Foods Market and Austin's legendary food trailer, Mmmpanadas, and wine provided by Total Wine & More while placing your bids on items in the silent auction. You'll also be serenaded by a small ensemble of TEMP's artists who will perform selections from the upcoming Postcards From The Past season! To purchase tickets, please visit our Fundraiser page. And yes, I was supposed to write this little blog-ette a few weeks ago, when "Sumer Is Icumen In" would have been most opportune. 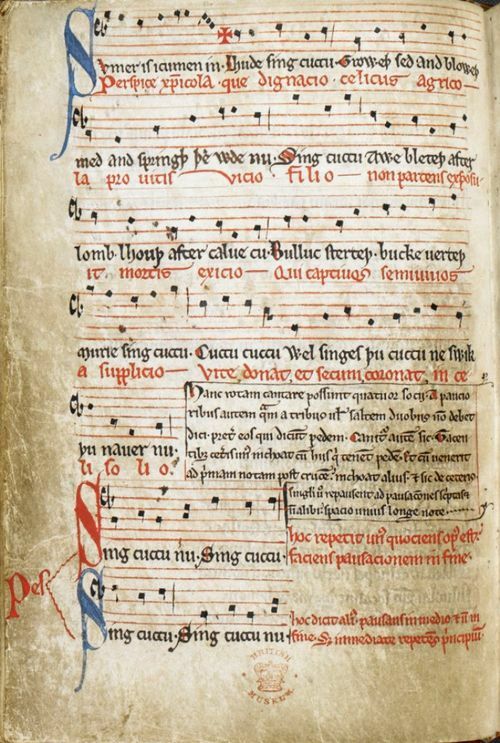 Here's a link to this season-appropriate, 13th-century Middle English round. Enjoy your summer and I look forward to seeing many of you on August 30!